Patient engagement strategies can only succeed when they have the right technologies behind them. Process improvement through innovative solutions can augment your quality of care, efficiency and revenue. At its core, patient engagement is really an effort to provide better health outcomes. To achieve this goal, physicians need the support of customized technology to securely collect, store and communicate vital patient information. Our custom technology solutions help patients receive better treatment, meaningful outcomes and positive experiences. In a world where everyone is connected, we believe patients and physicians should have fewer barriers to communication. At Tangible Solutions, we don’t deploy one-size-fits-all solutions. We work with you to develop tailored technologies that drive your practice forward. Our process begins and ends with communication. Patient engagement efforts require information management solutions that allow for the free and easy exchange of secure communications. When patients are engaged with their personal health care, they are more likely to be satisfied with their clinical outcomes. From scheduling appointments to checking in patients to charting, billing and post visit follow-up, your organization needs efficient technology solutions that let you get back to the important work – patient care. Whether you need to start engaging your patients from the ground up or complement your existing system to fill in gaps, our solution suite can help your practice optimize your workflow, enhance the patient experience and increase efficiency. • Your practice’s sterling reputation at the top of every list. With more than 20 years of delivering healthcare technology solutions, we have developed a wealth of experience in helping practices like yours reach their maximum potential. Our latest solution offering addresses the entire range of patient communications you need. It can be implemented to fit within your practice’s existing systems, allowing you to automate your workflow with personalized patient communications. 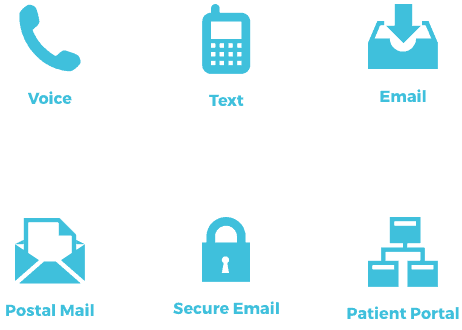 Happe-Engage is a complete set of products designed around the patient workflow Cycle. Our comprehensive approach to patient engagement helps practices engage patients on their terms, with continuity and follow through, ensuring increased patient satisfaction and retention. 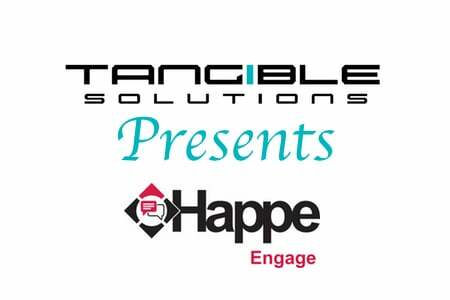 Happe-Engage is a total patient relationship system. The product suite delivers automated messaging across the channels that meet the needs of your practice and the expectations of your patients. 43% of consumers said that they would be likely to switch doctors as a result of negative online ratings from other consumers. 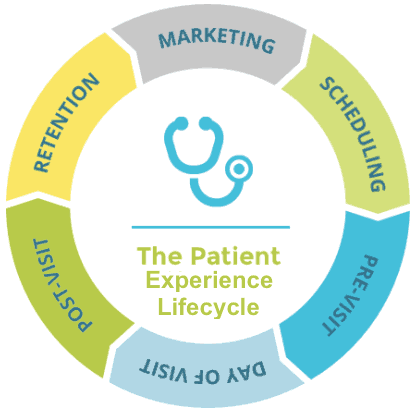 Our solution suite is built to streamline and enhance the natural patient-practice cycle. Each solution is designed to address common challenges practice face centering around keeping patients engaged and are guaranteed to transform your practice. From initial scheduling through preregistration and visit preparation, our Pre-Visit system helps keep patients on track and the waiting room running smoothly. VisitAssist – Make it easy for your patients to request appointments at the convenience and fill last-minute openings. 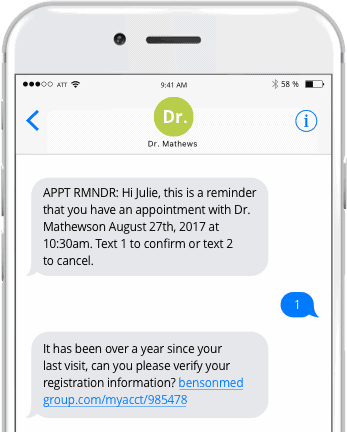 VisitRemind – Send reminders through a customized campaign using the communication channels that best meet your patients’ needs. VisitReady – Let your patients complete registration forms online for quicker check-in during visits. ClinicalPrep – Reduce rescheduled or incomplete appointments by ensuring your patients show up properly prepared for their visit. Make timely follow-ups and continued care simple, thorough and meaningful with our Post-Visit solutions. ResultsNotify – Communicate results or alerts to patients following appointments. VisitRescue – Track missed, cancelled or follow-up appointments automatically, and alert patients who need to reschedule. EffectiveCare – Automatically check in with your patients after their visit to make sure everything went well and their concerns were addressed. SurveyFollowup – Gather powerful insights about your practice through automatically generated patient surveys. Our patient financial management system makes it easy to deliver statements, receive payments, trigger reminders and manage collections. StatementService – Easy-to-understand statements that are clear, meaningful and can be delivered conventionally or through email and integrate online payment processing through a branded payment portal. OverdueBalance – Keep a close eye on statement history through Mailtrack and notify/remind patients of overdue balances through phone, text, email, or postal service. Secure Payment Management – PCI-compliant payment system to store, manage and process patients’ preferred payment methods, whether credit/debit card or bank account. Keep your patients engaged, educated, and up-to-date, and they will keep coming back to you for the care they need. RecallDeliver – Set up rules-based patient recalls that analyze patient information, visit and procedure history to trigger automatic recall notifications until patient responds. PR-Ed – Keep your patients continuously engaged and healthy between visits through ongoing education-related communications. PRNews – Keep your practice at the top of your patients’ mind by communicating general practice announcements and updates with ease. PR-Insights – Capture and easily understand powerful business analytics to help you improve your practice on every level. Grow your practice through your existing patient relationships and attract new patients by managing and promoting your online reputation. Campaign Manager – Create, deliver and track custom marketing campaigns for your patients that can be segmented any way you like. PatientPr – Leverage your patients’ positive sentiments by requesting and promoting quotes, testimonials and reviews.